SWD Cricket news, events, fixtures and logs. 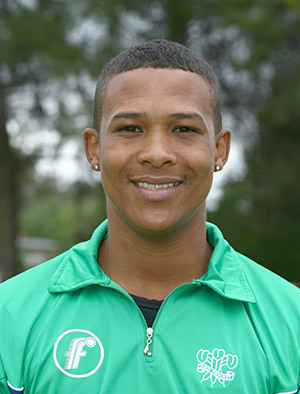 Former SWD bowler, Glenton Stuurman, who made his debut for SWD in 2013 proved that his move to Port Elizabeth at the beginning of the season was a good option when he was selected for the Warriors franchise team. The 26-year old Stuurman made a satisfactory start at this level when a contributed with the ball as the Warriors thumped the Titans by 216 runs at Buffalo Park in East London. He bagged 3/84 (in 29 overs) in the first innings and follow it up with 1/19 (in 9 overs). Stuurman who was identified as a prospect for the future was a member of the 2011 SWD Academy intake and went on to represent SWD in 26 first class, 20 List A and 8 Twenty/20 matches. Bowling: 1 point for taking 3 wkts, 2 for 5 wkts, 3 for 7 wkts and 4 for 9 wkts.